Anyone who loves hosting dinner parties in their home knows that certain serving dishes grabs everyone's eyes and becomes the center of the table--and attention. 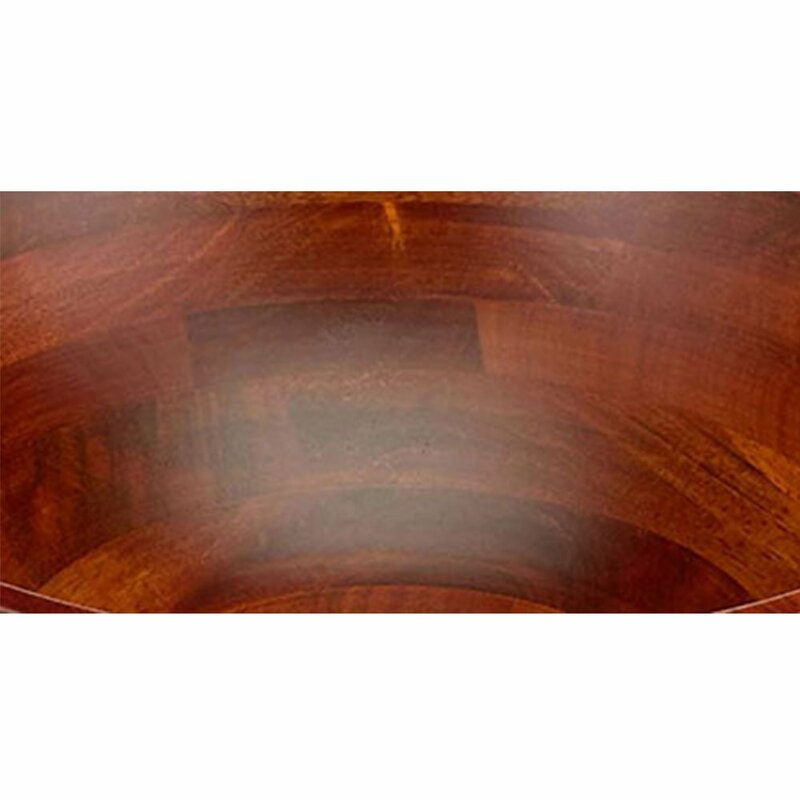 Let this unique Lipper International Wavy Rim Cherry Salad Serving Bowl steal the show at your next gathering.Made of durable wood and finished with a deep cherry color, this bowl is sure to last you through the seasons with the right care. Occasional use of mineral oil on the inside of the bowl will help maintain its appearance. In order to keep the natural wood looking and performing at its best, hand wash the box with mild soap and cool water, and avoid placing it in extremely hot or cold environments.When you use this fun and festive bowl at your next dinner party, it's sure to get your guests talking about your impeccable taste!